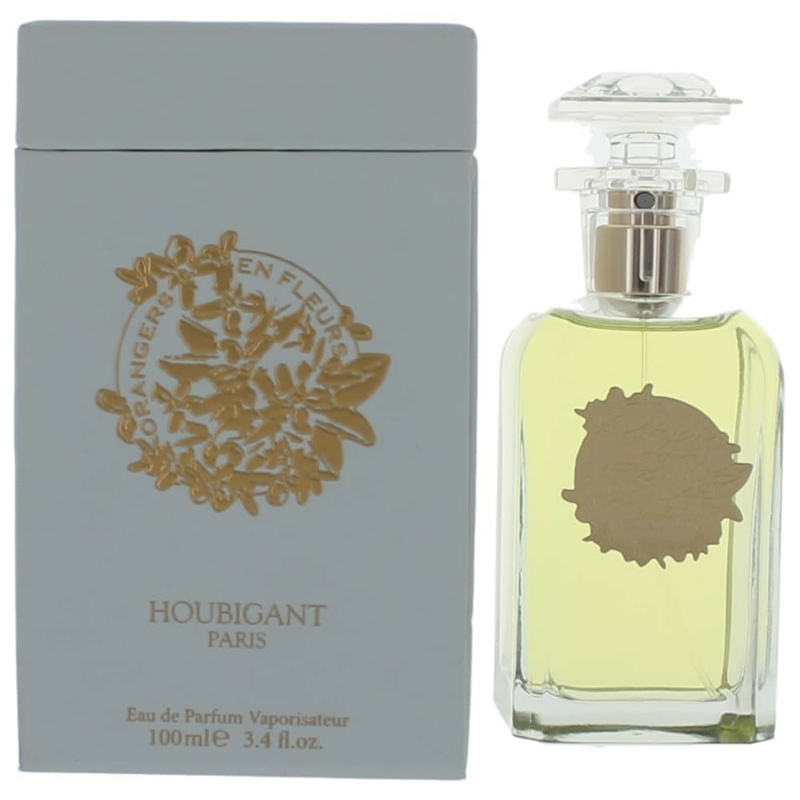 Houbigant Orangers en Fleurs encircles the orange blossoms in the top notes with carefully selected petals of Turkish rose and Egyptian jasmine, creating a perfect bouquet of rich nuances. The heart introduces seductive and intoxicating tuberose combined with very specific and exclusive ingredient of Robertet Company - Eau de Brouts absolute and essential oils of ylang-ylang from Comoros Island. The core is subtle and delicately flavored with nutmeg to emphasize the seductive floral essence gently sprinkled with spices. The blend of cedar and musk finishes the composition leaving the fine and sensual trail on the skin. Launched in 2012.